LM Productions were invited by the Tourism Board to rejuvenate the established festival, and so delivered a show that represented internationalism and modernism which complimented the fresh look and feel of the ˮnewˮ Suzhou. 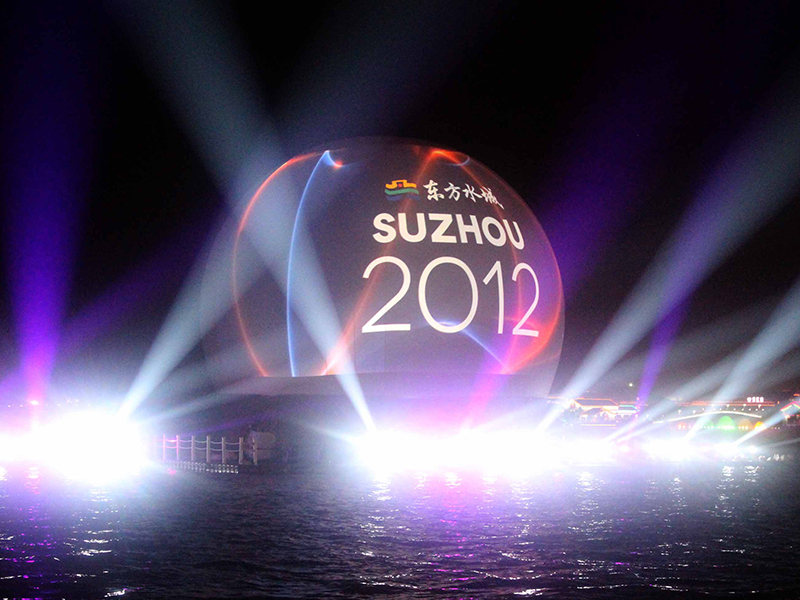 We used one of our striking 18m StratoSpheres as the centrepiece of the event, and positioned it on a custom made floating platform that was located in the middle of Lake Jinji. High brightness projection, custom content, lighting and an explosive firework show, combined with a wealth of live performances and an elaborate boat parade made for a spectacular opening ceremony for this prestigious event.